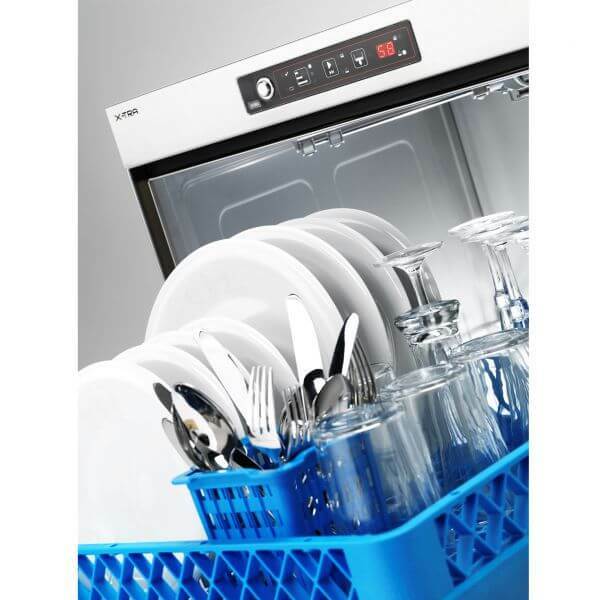 For washing glasses, cups, cutlery and small plates. Washing with double system of rotating dispersers (top and bottom). 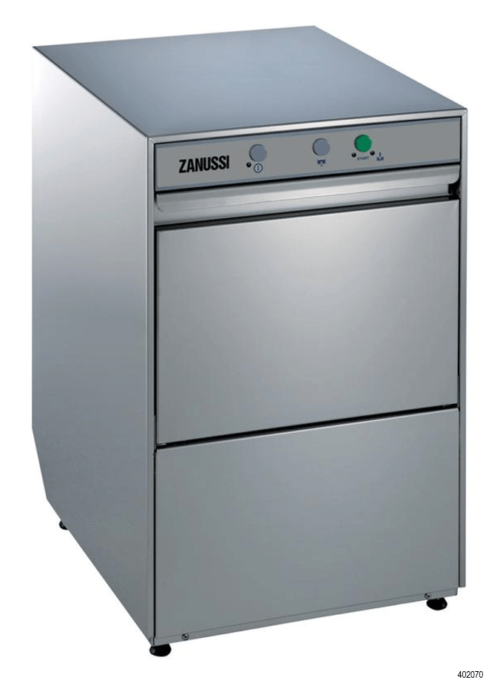 Manufactured from catering grade AISI 304 2B stainless steel and incorporating top quality components. 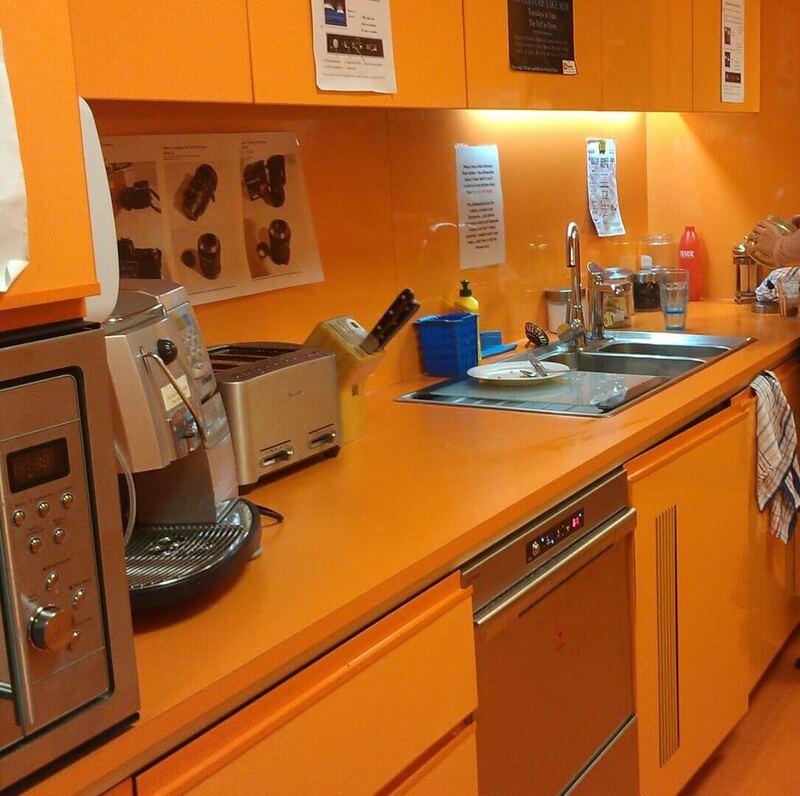 Easy to use electronic control panel with anti-moisture seal and wash & rinse tank temperature displays. A double filter system provides effective wash pump protection that is easily removed (for maintenance and cleaning) and replaced, without tools. Inside of the machine with rounded finished: absence of angles avoiding the accumulation of dirt. 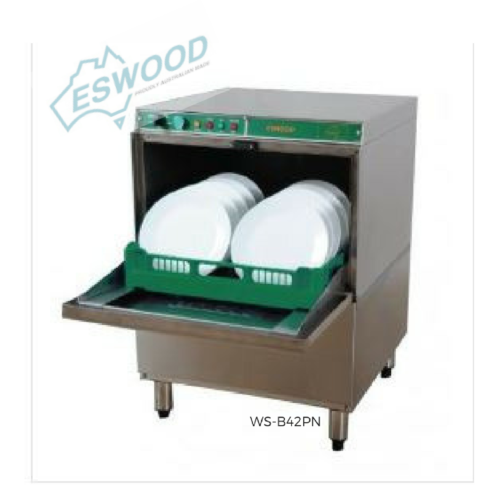 Automatic rinse aid dosing equipment. 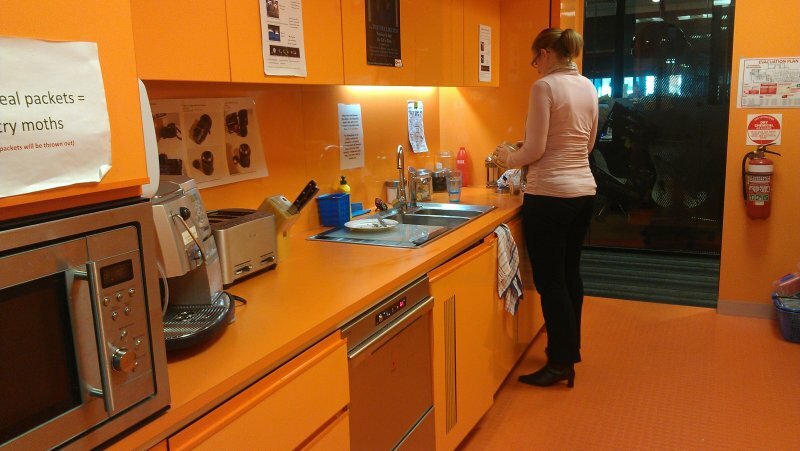 Adjustable washing tank and boiler temperature and security in the boiler. 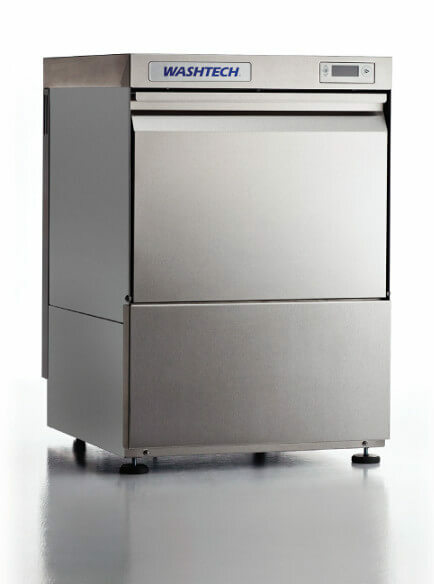 Rinse boiler temperature adjustment and a thermal cycle delay option, guaranteeing a minimum final rinse temperature of 85ºC for each and every rinse cycle. 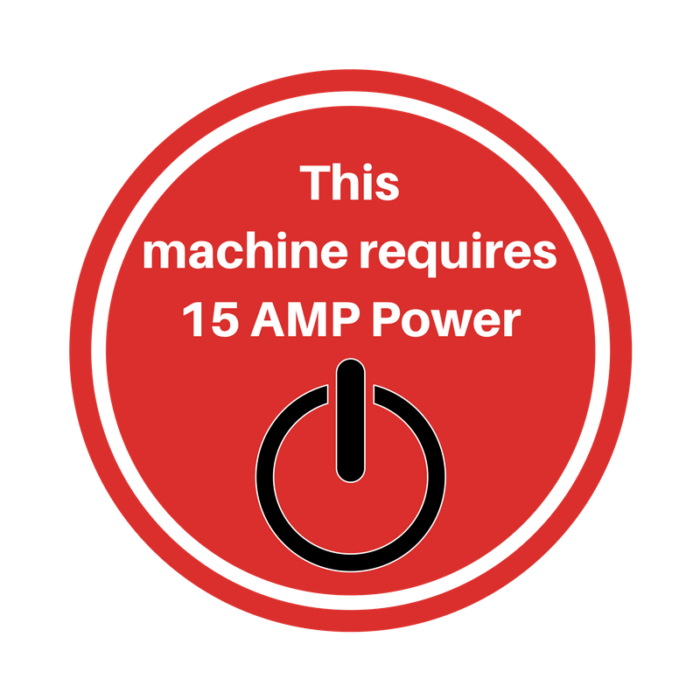 The dual voltage option facilitates connection to single or 3 phase supply within the same appliance. 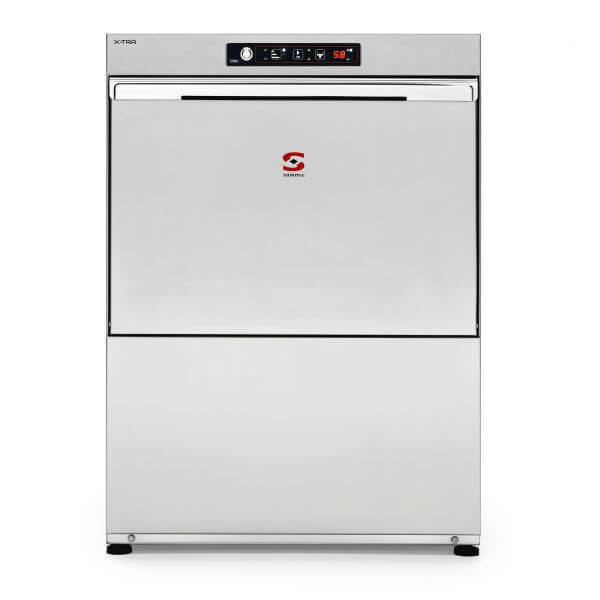 Sammic X50 dishwashers are designed for easy and fast on-site maintenance. 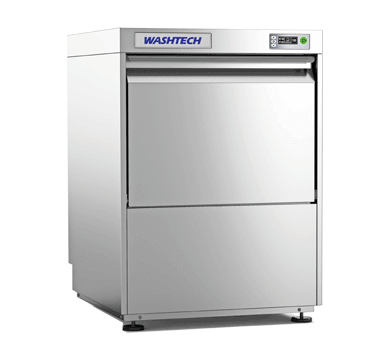 Commercial multi-phase, multi-power dishwasher with 3 wash cycles, wash and rinse temperature display and thermal cycle delay option.